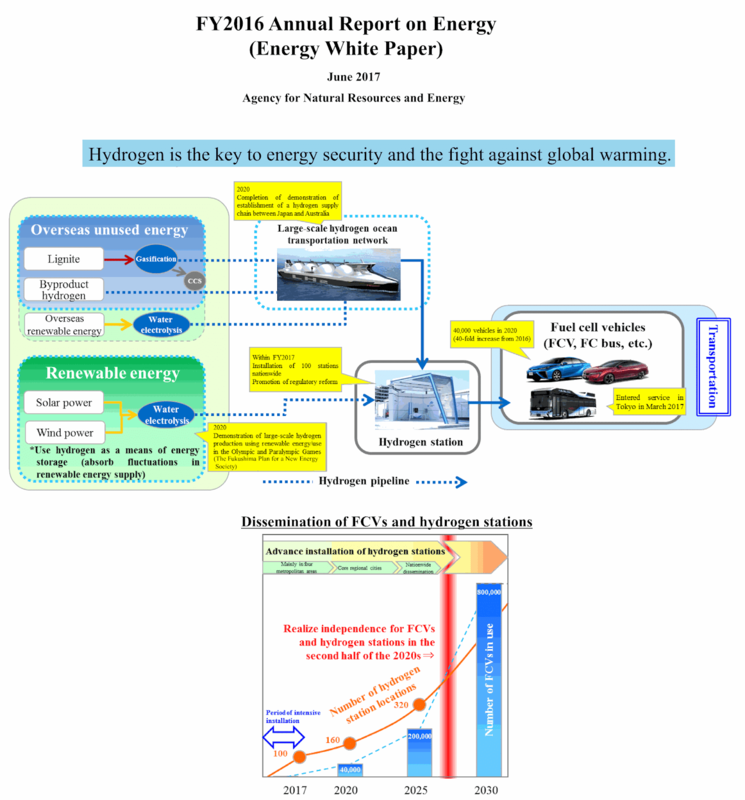 Australia recently examined the development of a hydrogen industry - Briefing Paper: Hydrogen's for Australia's Future. Converting hydrogen to methane can reduce CO2 emissions from electricity generation - in the short term at least - while production capacity of hydrogen is growing. 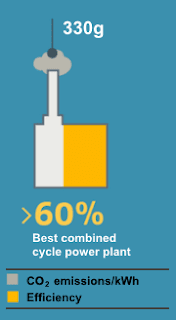 Two combined-cycle gas turbine power stations running at 60% efficiency. An assumption is that each power plant consumes fuel with the same amount of chemical energy. Because the coal-fired power plants are only two-thirds as efficient as the combined-cycle gas turbine power plants, a third coal-fired power plant is needed to produce the same electricity output as the two combined-cycle gas turbine power plants. The CO2 emissions are about 900 grams per kilowatt-hour generated for the coal-fired power plants and only 310 grams per kilowatt-hour for the combined-cycle gas turbine power plants. NOTE: A reduction of two-thirds use of coal by 2030 is required to limit global warming to 1.5°C. This ratio of CO2 emissions of 310 to 900 grams per kilowatt-hour is equivalent to a 65% reduction in coal use. If sufficient hydrogen was produced to fuel one combined cycle gas turbine power plant, when three coal-fired power plants were the option being used, then one and a half coal-fired plants could be idled. 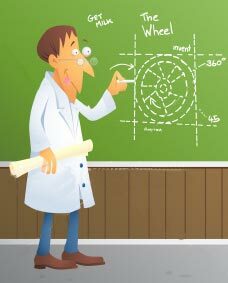 This would cut coal-use in half and cut CO2 emissions from electricity generation in half. Average CO2 emissions for all electricity generation - from the coal-fired plants and the hydrogen-fueled combined cycle gas turbine power plant - would be 450 grams per kilowatt-hour. 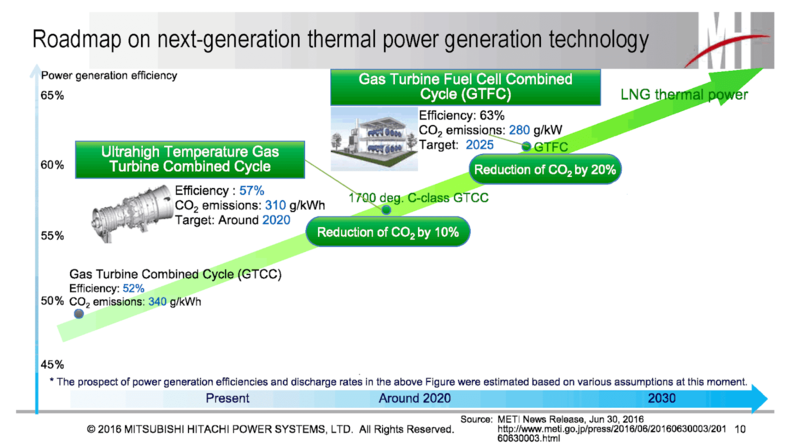 However, if the same amount of hydrogen was reacted with carbonaceous material, such as coal, to produce synthetic methane, the resulting fuel would be sufficient to run two combined cycle power plants: all three coal-fired plants could be shut down. This would cut coal-use by two-thirds and cut CO2 emissions from electricity generation by two-thirds. 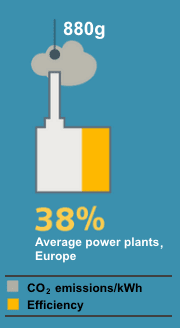 Average CO2 emissions for all electricity generation - from the synthetic methane-fueled combined cycle gas turbine power plant - would be 310 grams per kilowatt-hour. 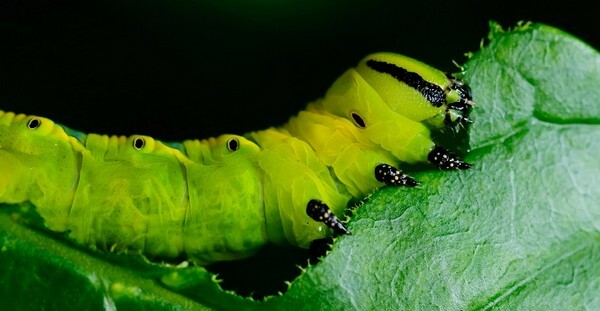 This process results in a greater cuts in CO2 emissions. It also doubles the energy value that the hydrogen possessed before it was combined with carbon to form methane. That is, it is preferable from both commercial and environmental perspectives. The benefits are greater than just the cuts in CO2 emissions arising from electricity generation. In December 2018 the Australian Government released a document on projected CO2 emissions - Australia’s emissions projections 2018. This shows substantial fugitive emissions arise from natural gas production and from coal mining. Out to 2030, several LNG plants are expected to source gas from new basins as current feed gas sources deplete. As the percentage of CO2 is higher for some of these new feed gas sources the overall emissions intensity of Australia’s LNG projections increases which increases emissions. Fugitive emissions for natural gas (other than LNG) are projected to be 17 million tonnes of CO2-e each year from 2018 to 2030. The fugitive emissions from LNG production are projected to rise from 11 million tonnes of CO2-e a year in 2018 to 13 million tonnes of CO2-e a year in 2030. The Australian Government's National Greenhouse Accounts Factors - July 2017 shows fugitive emissions from open cut coal mines in NSW are 200 times greater per tonne of raw coal mined than those of open cut coal mines in Victoria. 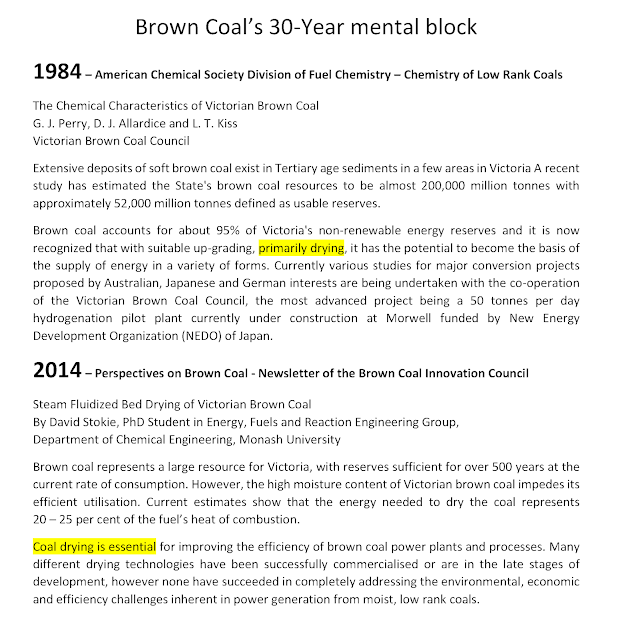 The brown coal available in Victoria is also far cheaper than thermal coal mined in NSW. 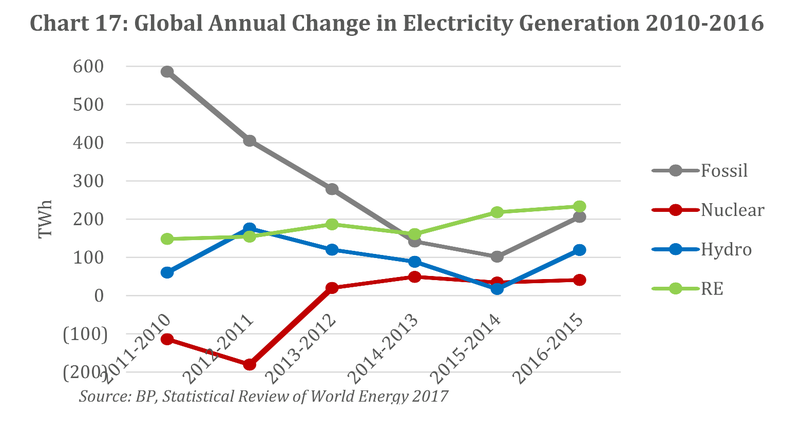 As an indication of the amounts of fugitive emissions involved: Australia burns about 60 million tonnes of black coal a year for electricity generation. If sourced from open cut NSW coal mines, the fugitive emissions would be 60 million x 0.054 = 3.24 million tonnes of CO2-e.
Total electricity generated in Australia from black coal in 2016-2017 was about 120 thousand gigawatt-hours. 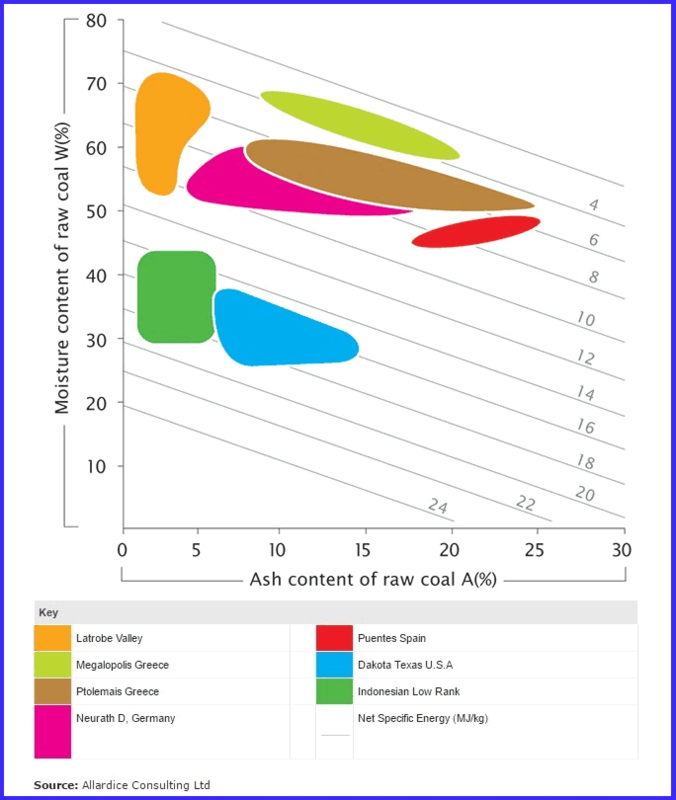 At an emission intensity of 900 grams of CO2-e per kilowatt-hour (1 gigawatt-hour is 1 million kilowatt-hours), the generation of this much electricity from black coal would result in annual emissions of about 108 million tonnes of CO2-e. In 2016-2017 Australia also burned about 57 million tonnes of brown coal to generate about 44,000 gigawatt-hours of electricity. 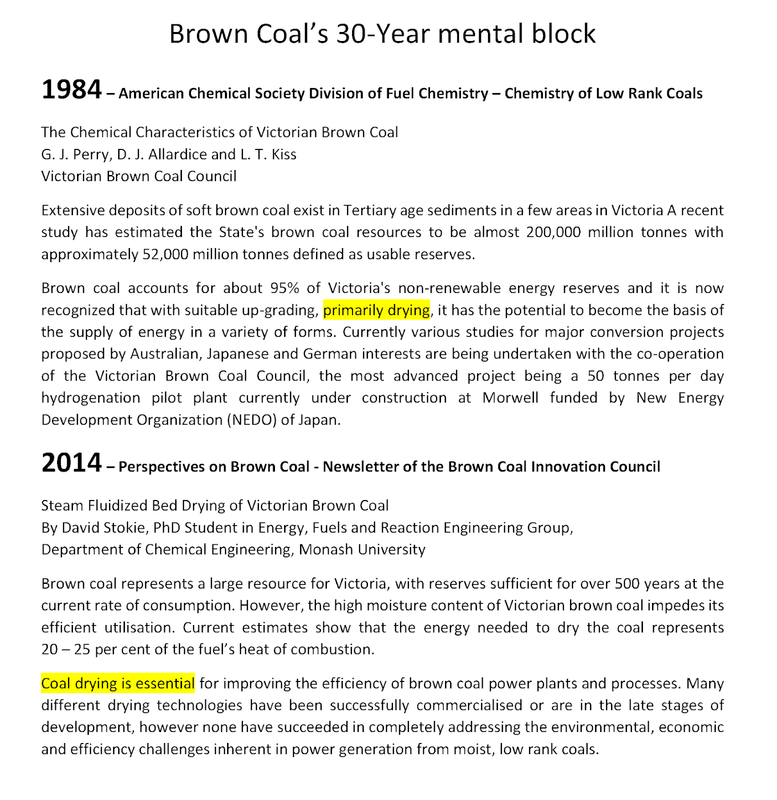 At an emission intensity of 1,100 grams of CO2-e per kilowatt-hour (1 gigawatt-hour is 1 million kilowatt-hours), the generation of this much electricity from brown coal would result in annual emissions of about 44.8 million tonnes of CO2-e. 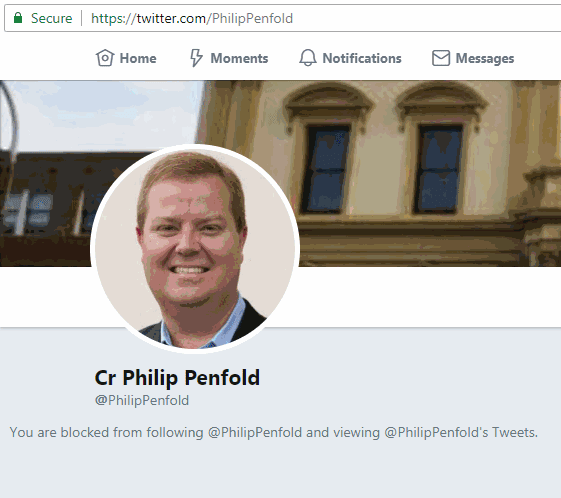 The conversion of brown coal to synthetic methane with hydrogen would be commercially attractive in upgrading the value of this low-cost fuel stock and environmentally superior - cutting fugitive emissions that arise in both coal-mining and natural gas production. Each kilogram of wheat straw with about 7% moisture content is made of 48% cellulose by weight (of which carbon is 44%) and 25% is lignin by weight (of which carbon is 65%) ... (((1000 x (48 / 100) x (44 / 100)) + (1000 x (25 / 100) x (65 / 100))) = 374. That is 374 grams of carbon in each kilogram - sufficient to manufacture about 500 grams of synthetic methane which has a heating value of 50-55.5 megajoules per kilogram (MJ/kg). The carbon in 2 tonnes of wheat straw would be sufficient to manufacture 1 tonne of methane with a heating value of 50-55.5 gigajoules (GJ). 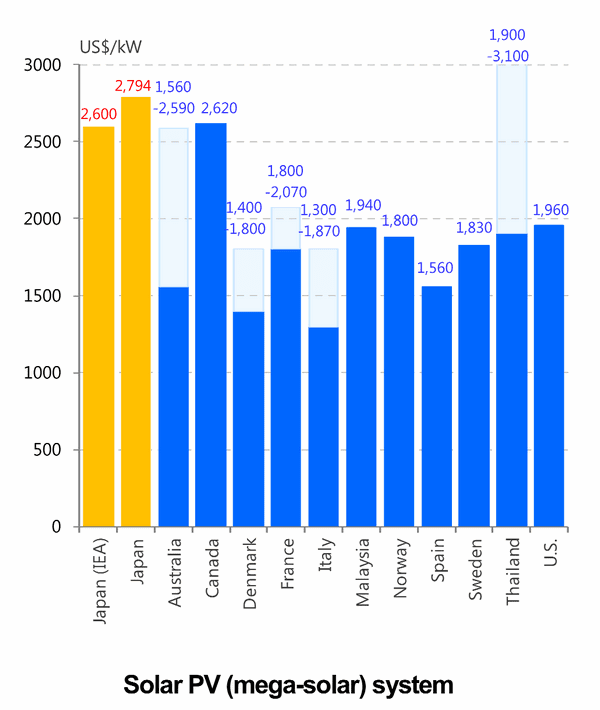 Natural gas has a wholesale price of $10-$12 per gigajoule in Australia. Over 500 million tonnes of wheat straw are produced annually world, the majority of which are burnt in the field. See "Physical Properties of Wheat Straw Varieties", American Journal of Engineering and Applied Sciences, 2012, 5 (2), 98-106. 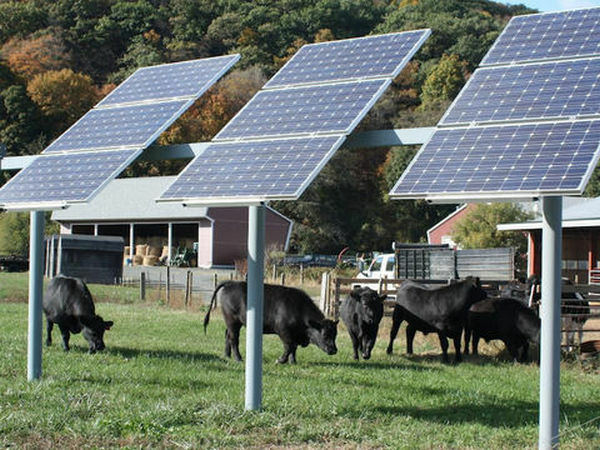 Small-scale biomass gasifiers are one more renewable energy generation option for Australian farms that need affordable, reliable 24 hour a day electricity supplies. 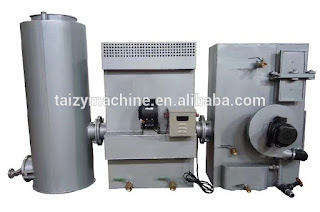 For example, a seller on Alibaba in China has a biomass gasifier offered for $500 - $1,000 per unit. Another offers gas-fueled electric generators for $550 - $1,250 per unit. 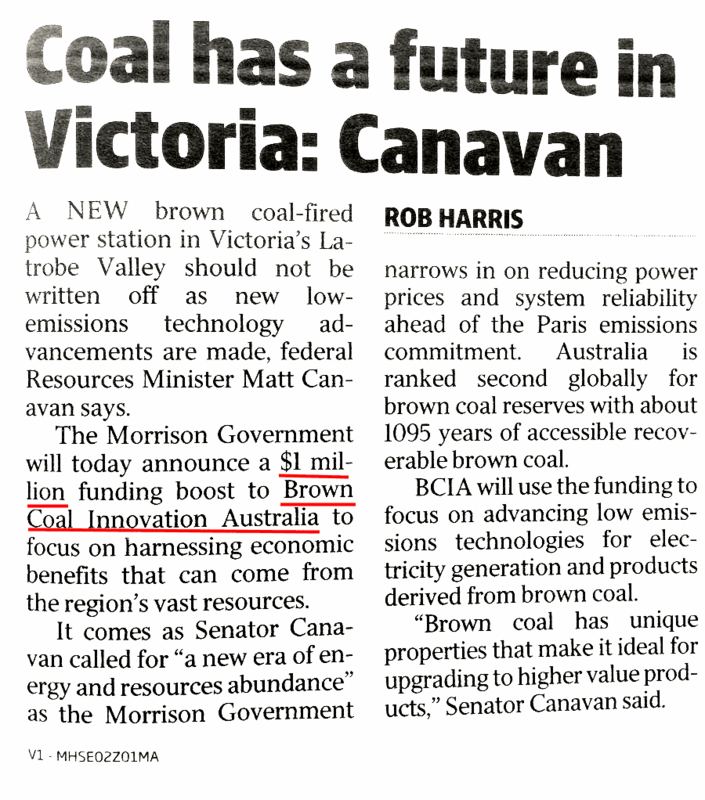 The Australian Government announced it was allocating another $1 million for research into ways to make something useful from brown coal reserves in Victoria. The Coalition Government continues to focus on harnessing the economic benefits that can come from the nation’s vast brown coal resources by making $1 million in funding available to Brown Coal Innovation Australia (BCIA). 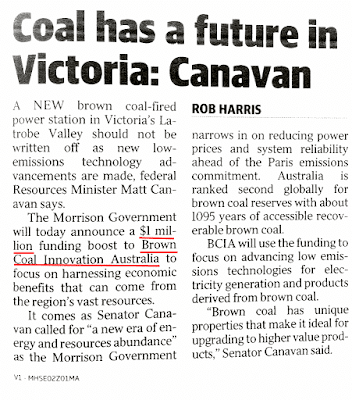 BCIA will use the funding to focus on advancing Australia’s economic prosperity by researching low emissions technologies for both electricity generation and products derived from brown coal. 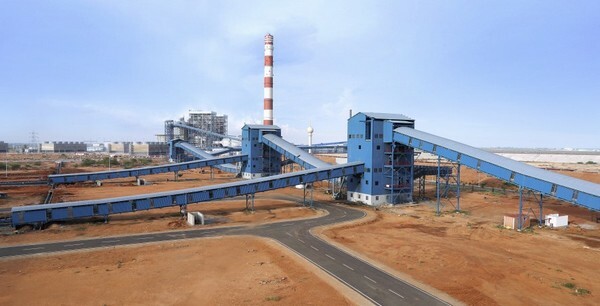 Minister for Resources and Northern Australia Matt Canavan said BCIA was at the forefront of research into low-emissions, low-cost, coal technologies and novel, high-value products derived from brown coal. Since 2009, the Government has provided more than $7 million to BCIA through the Commonwealth’s funding of the Australian National Low Emissions Coal Research and Development initiative. Australian Governments have been "investing" in "harnessing the economic benefits that can come from the nation's vast brown coal resources" long before 2009. For over thirty years no progress has been made. 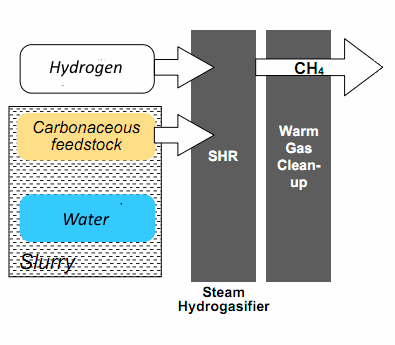 A method and apparatus for converting carbonaceous material to a stream of carbon rich gas, comprising heating a slurry feed containing the carbonaceous material in a hydrogasification process using hydrogen and steam, at a temperature and pressure sufficient to generate a methane and carbon monoxide rich stream in which the conversion time in the process is between 5 and 45 seconds. 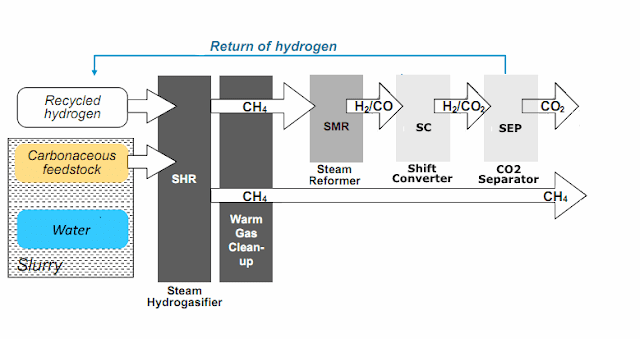 A highly efficient Power-to-Gas process has been realized by the European research project HELMETH. 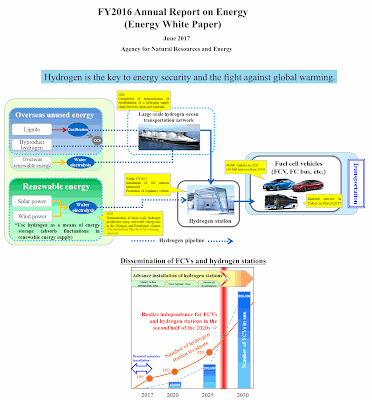 It has the potential to be the most efficient storage solution for renewable energy utilizing the existing natural gas grid without capacity limitations and to be a source for “green” Substitute Natural Gas (SNG) to avoid fossil carbon dioxide emissions. 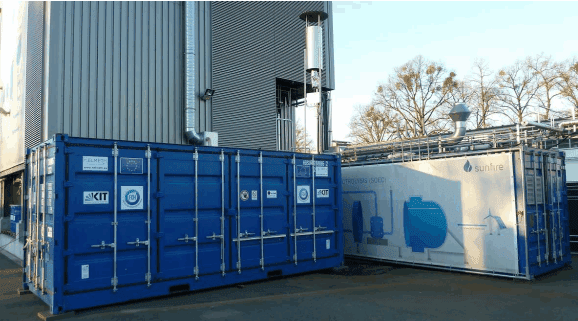 The objective of the HELMETH project is the proof of concept of a highly efficient Power-to-Gas process by realizing the first prototype that combines a pressurized high temperature steam electrolysis with a CO2-methanation module. 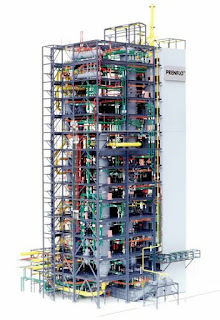 The demonstration plant was assembled at the sunfire facility in Dresden. The methanation unit, developed and built by KIT in Karlsruhe, was set up inside a container and transported to sunfire to perform combined operational tests. The steam outlet from the methanation cooling circuit is fed to the electrolyser and the hydrogen output from the electrolyser is fed to the methanation unit. The steam is converted to hydrogen in the electrolyser. 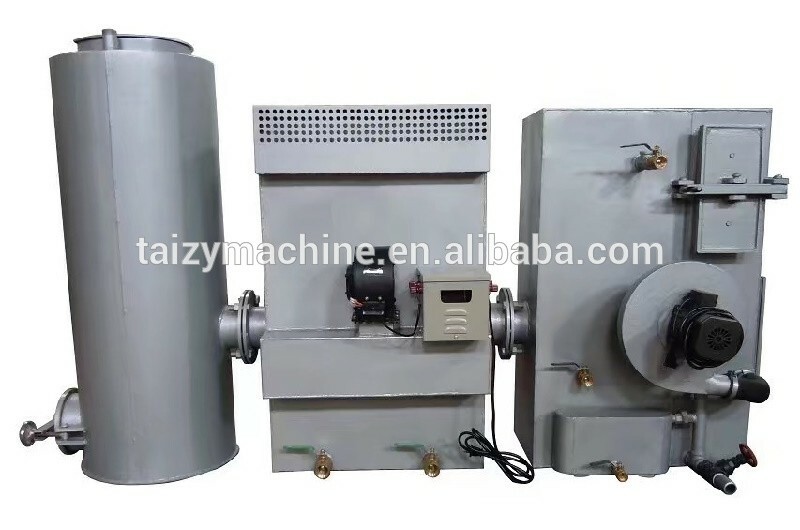 The efficiency is significantly increased by using the heat of reaction from the exothermic methanation reaction to produce steam for the high temperature electrolysis. Since the produced SNG is fully compatible with the existing natural gas grid and storage infrastructure, practically no capacity limitations apply to store energy from fluctuating renewable energy sources. 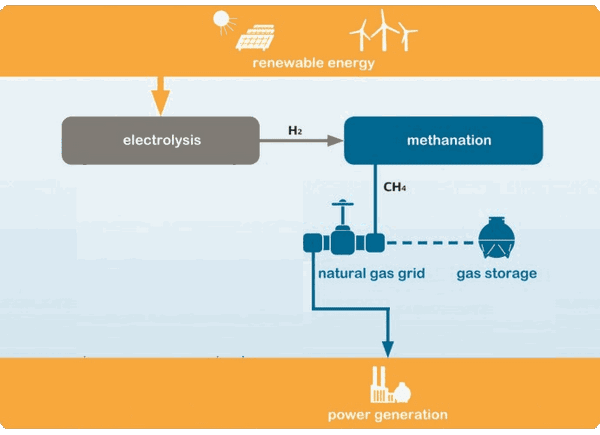 By replacing the CO2 methanation module in the Power-to-Gas process realized by the HELMETH research project with a lignite methanation module, Australia can manufacture 50% renewable methane. That is, synthetic natural gas containing 50% renewable energy (as hydrogen) and 50% fossil fuel (from low-cost wet lignite). 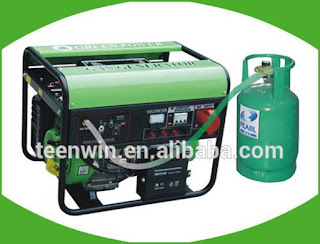 This can fuel dispatchable generators in conjunction with renewable intermittent generators to provide 100% reliable electricity generation: the intermittent renewable generators supplying 50% of electricity and dispatchable generators powered by 50% renewable methane providing the other 50%. The lignite methanation module has been developed in the U.S.
Making synthetic natural gas from hydrogen and a variety of waste streams and coal has been researched for some time. 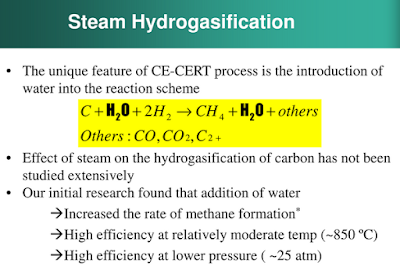 A $650,000 grant from the California Energy Commission (CEC) extends its commitment to $2 million to CERT for the patented steam hydrogasification reaction (SHR), which can turn any carbonaceous material into transportation fuels or natural gas. The CEC grant will allow for the completion of a process demonstration unit at CERT that will provide data needed before a proposed pilot plant is built at the city of Riverside’s waste water treatment facility.